Measure M was a huge win for transit advocates. Huge. And the people of LA County agreed—in fact, 71 percent of them agreed to tax themselves in order to better prepare for the needs of the future in terms of how people in the county get around. Part of Measure M’s crown achievements? 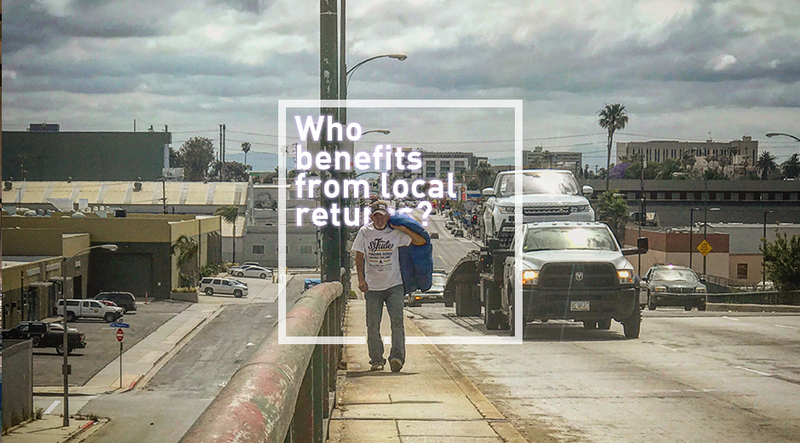 Local returns: 16% of the funds generated through the tax measure—that’s about $138M of the estimated $860M the measure will generate annually—will be given back to municipalities for local transportation projects of their own. Even Metro Boardmember and Long Beach Mayor Robert Garcia touted local returns in both our town hall with him at MADE by Millworks and my interview with him shortly after being appointed to the Metro Board. Well… Maybe. And I’m callin’ you out specifically, Mayor. One would think, after brilliant analyses by advocates Joe Linton and Frazier, that this minimum discussion would have hit rock bottom knowing that they benefit some of the county’s richest and, given these cities’ urban layout, don’t contribute toward a livable, transit-oriented county. This further compounds that the way in which local returns are spent. When disproportionate amounts are given to cities that didn’t even support Measure M, you can guarantee that those funds will go toward car-centric infrastructure rather than creating what we must: making streets safer for people to walk and bike through, benefit our communities of color and lower-income neighborhoods that are constantly ignored, cater to the disabled and less privileged, and promote the benefits of economic activity. If those funds, particularly hundreds of thousands of dollars snatched from the cities who focus on those precise issues most, aren’t used for those purposes, we’re screwing over every voter who took a leap of faith in the idea that those are ideals LA County should uphold.